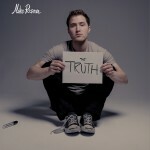 Michael Robert "Mike" Posner (born February 12, 1988) is an American singer, songwriter, and producer. 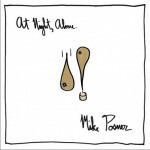 Posner released his debut album, 31 Minutes to Takeoff, on August 10, 2010. The album includes the US Billboard Hot 100 Top 10 single "Cooler Than Me", his second single, "Please Don't Go", as well as his third single, "Bow Chicka Wow Wow". He is also known for writing and producing "Boyfriend" by Justin Bieber, "Beneath Your Beautiful" by Labrinth, as well as songs for Pharrell Williams, Big Sean, 2 Chainz, Wiz Khalifa, Nelly, TI, and Snoop Dogg.